Actually, I love to buy bits to craft with. Getting around to actually crafting - well that's a different matter. The problem is I'm not particularly artistic so designing layouts etc for scrapbooking isn't really my forte. That said I have recently been looking into 'Decopatch'. 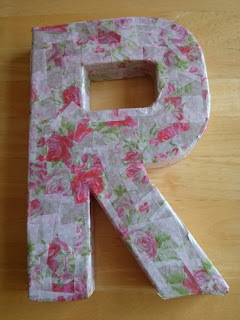 For those of you who don't know what this is - its essentially 'posh papier mache'. Instead of tearing up lots of strips of newspapers and glooping them to a balloon you buy very beautiful papers which you use to decorate everyday household objects. 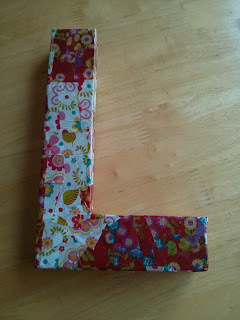 Lots of crafting stores now sell cardboard numbers, letters, boxes etc just for this purpose. I'm not the tidiest person on the planet. Before doing any activity involving glue I would imagine the best option is to lay out something on your work surface to protect it. I however, did not. If you don't want anything damaged then probably best to 'prep' your work space in advance. I decided to start with the 'L' figuring its an easier shape. I picked two papers to work with but as I don't have a very artistic eye they probably don't go together - but I liked them! 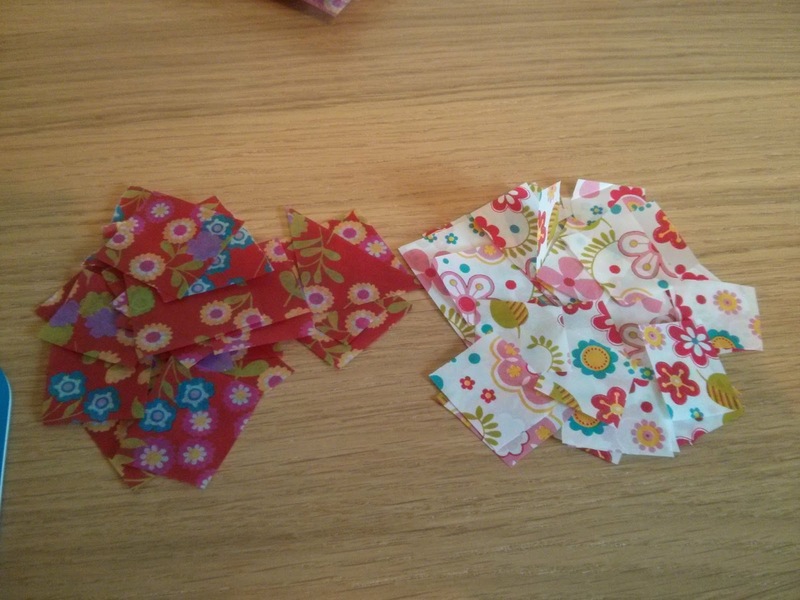 You can either tear or cut your decopatch paper - whichever you prefer. 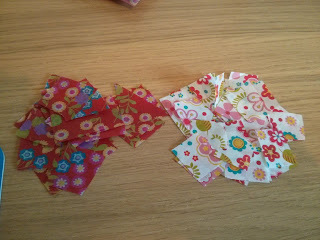 I found it easy to tear one way but not so easy the other so I opted for cutting mine up. Each piece needs to be about the size of a stamp. 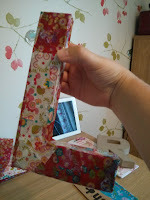 I think when you tear it it 'blends' together better on the end product but cutting it gives you a more patchwork effect. 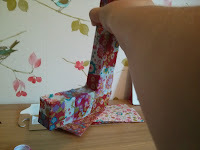 Apply your glue to your object - go for it - it doesn't need to be a thin coating and then use your brush to pick up each piece of paper and apply it to the item. Using the excess glue that's on your brush coat the top of the paper so its all sealed down. I found that because the Rose paper was lighter (in colour) that actually the brown of the cardboard shape still shows through a bit. I think there are areas which made need another layer. 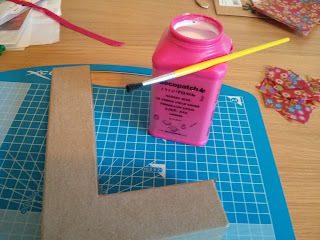 Perhaps next time I use a light colour paper I'll give the object a coat of white paint first and see how that works. All in all each project of this size can be completed in around an hour (plus drying time). 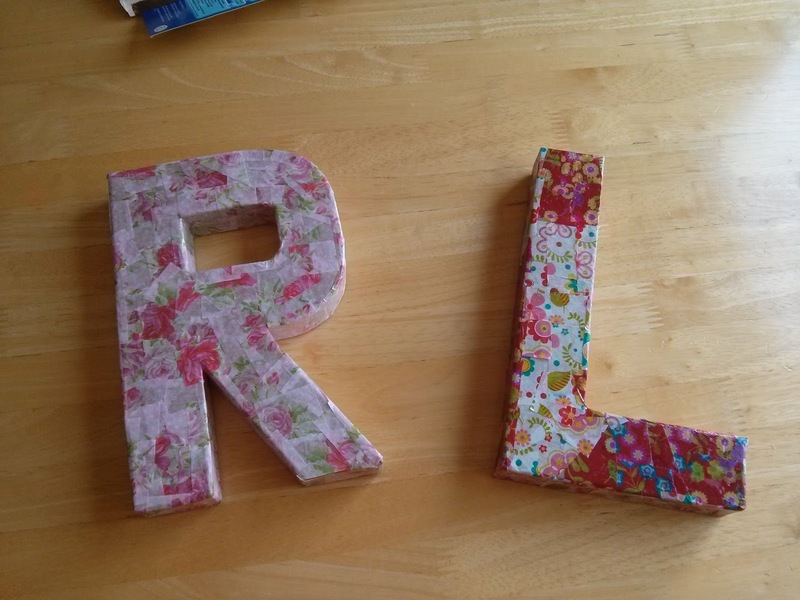 If using a light coloured paper paint your item first so that dark cardboard doesn't show through. You can buy a white primer for this or just use some white paint you find in the garage. You can varnish your finished item for a really tough, durable finish. 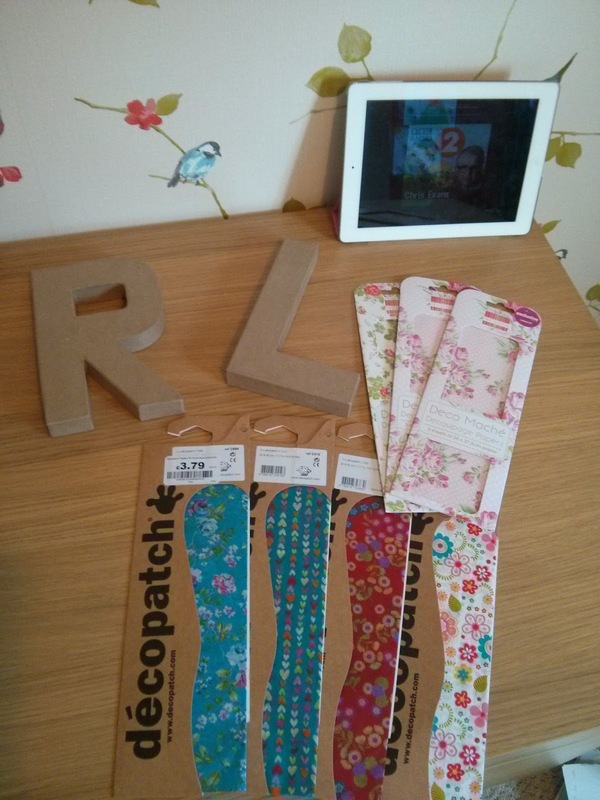 I cannot wait to get some more items to decorate. I think my 6 year old would love doing this. Apparently you can patch almost anything. I am currently eyeing up our old dining table as a project - but perhaps that will have to wait!! 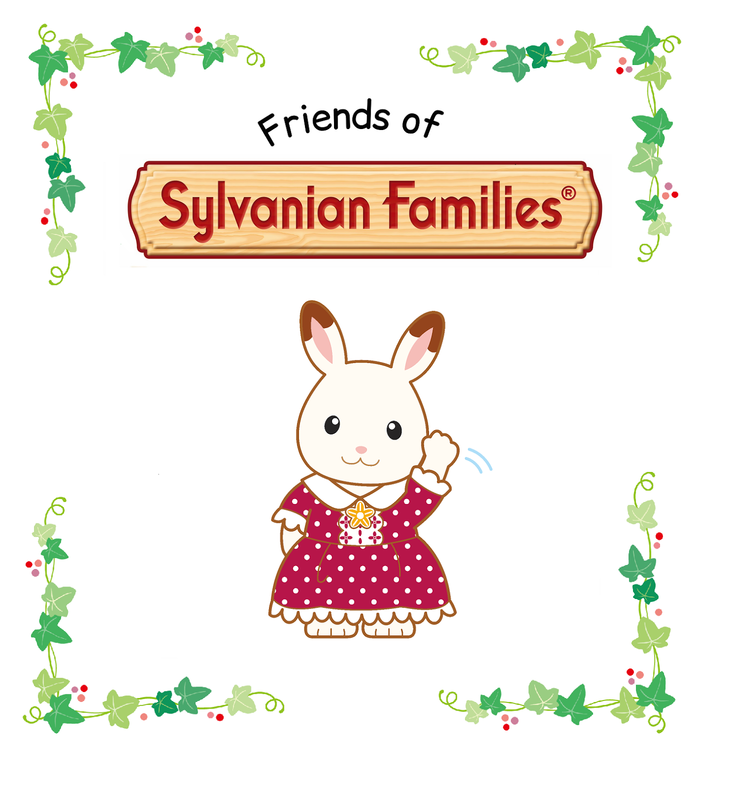 Go forth into the world dear friends and decorate! !